Read the snapshots below to get an idea of the enterprises in Arrow’s pipeline. These are the types of (or maybe even the specific) businesses that your participation as a philanthropic investor will allow Arrow to fund. 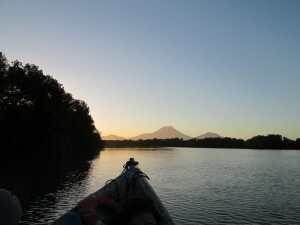 Founded by Teresa Ramos more then twelve years ago, and now run by she and her husband, Michael, MarExport is a commercial shrimp farm located in Chinandega, Nicaragua. 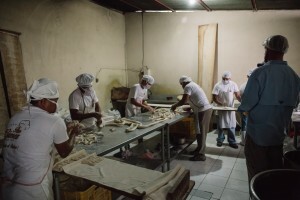 With thirteen full-time employees and twenty-five seasonal workers (employed during the three harvest seasons each year), MarExport sells shrimp from its three harvests per year in the local area, the Central American region, as well as in Spain. The company has revenues of over $360,000/year. With a loan of $80,000 USD from Arrow, MarExport is scaling its operations by digging deeper pools, building deeper gates, purchasing a larger pump, completing an onsite protocol house, and purchasing a larger boat. Since receiving the loan in 2015, the company has already created three new permanent jobs — a driver and two security guards — with more anticipated soon. Payments are being made on time and in full, and continued business support is being offered to Michael and Teresa by Arrow’s local partner, TechnoServe. 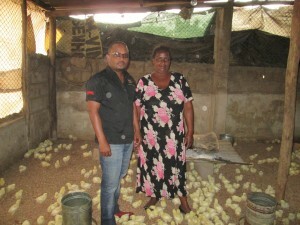 A poultry distribution company located in Maputo, Mozambique, Africa Poultry Works (APW) was founded three years ago by Francisco Bambo, or Bambo, as most people call him. A vet by training, Bambo recognized that small-scale poultry farmers weren’t able to access retail quantities of baby chicks, feed, and medicine — essential supplies for their small enterprise. 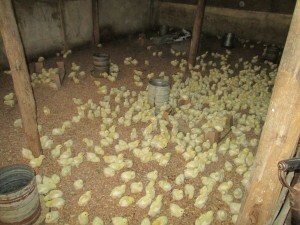 He sought to address this problem by serving as an aggregator; Bambo buys wholesale quantities of baby chicks, feed, and medicine from large suppliers, and then turns around and distributes them to his small farmer clients, many of them women. The small margin he attaches to each sale supports his business model, eight employees (and growing), as well as enables him to provide basic veterinary services to each of his 140+ farmer clients. 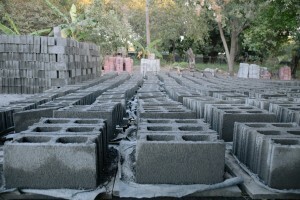 Since receiving a loan of $36,250 USD from Arrow and its co-investor, Partners Worldwide Entrepreneurs, APW has created two new permanent jobs and opened two feed depots, allowing existing and new clients to pick up essential supplies from one community-based location. 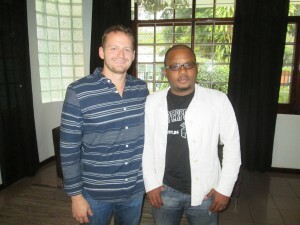 Bambo and his team receive ongoing business support from Arrow’s local partner, Africa Works. 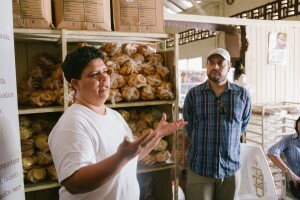 Norman and MariAntonia are the owners of El Maná Panadería, a bakery outside Managua, Nicaragua. 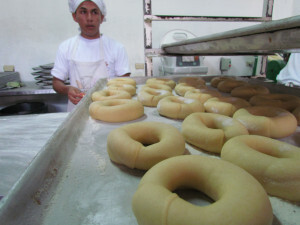 El Maná started with the husband-wife team as its only employees; with dedication to consistent improvement, El Maná now employs fifty-two members of their community. Norman and MariAntonia recently participated in a business training program with Arrow’s local partner, TechnoServe, to improve their accounting practices, billing systems, and employee services. They have well-laid plans to continue expanding their physical location, increase delivery routes, and add to the workforce — but they’re in need of additional capital in order to put their ideas into action. 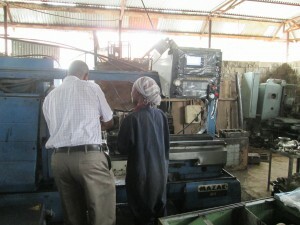 Founded by Simon and his wife, Lillian, more than a decade ago, Die Mould outside Nairobi, Kenya, creates plastic products. 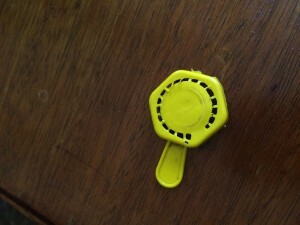 Specifically, the company manufactures plastic lids for gas caps and gas meters, a booming industry in the region. With more than a dozen employees, Die Mould has a long-standing relationship with Arrow’s local partner in Kenya, Partners Worldwide. Having graduated from Partners’ business acceleration program and thus receiving ongoing coaching from the local staff, Simon and Lillian are ready to scale their business. 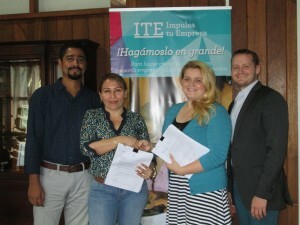 To do so, they need a loan of $150,000 USD to purchase new equipment that will allow them to diversify their product offerings. This will create new jobs and allow Die Mould to enact new environmental practices they’ve been unable to effectively do in their current facility. 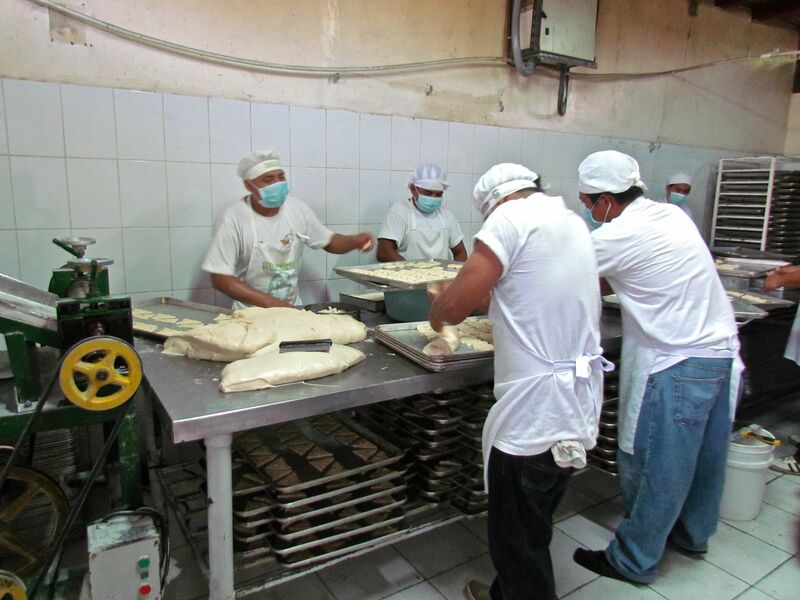 Started more than fourteen years ago as a family-run business in Chinandega, Nicaragua, Ileana is now the primary operator of this legacy bakery. 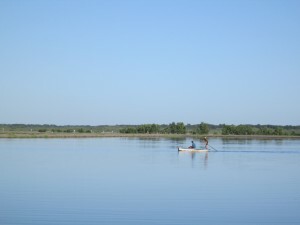 The business has more than thirty-five employees with revenues of over $600,000/year. Ileana gives a great deal of credit to Arrow’s local partner, TechnoServe, for helping she and her family improve their business and thus get to the stage they are today. With more demand than they can keep up with in their current space, Pan Gamez needs to expand. The land has been purchased, but Ileana needs to secure a loan of $150,000 USD (disbursed in stages) to take the business to the next level. 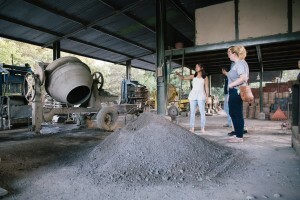 Ana Gabriela is the fearless owner and operator of El Buen Constructor, a concrete construction materials company, but the business didn’t start out under her care. 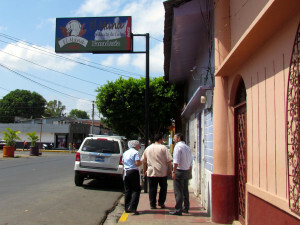 Founded by her father more than a dozen years ago outside Chinandega, Nicaragua, Ana Gabriela grew up working alongside her dad, but it was when he died suddenly that she took the reins. Now in her late twenties with an architecture degree under her belt, she manages every aspect of the company. The only female in her industry, she commands the respect of every single one of her twenty-one employees. Having graduated from TechnoServe’s business acceleration cycle, Ana Gabriela is a shining example of what determination and hard work can achieve. The business has grown significantly since she took over (with revenues of over $250,000/year), and with her architectural design background, the materials being produced have taken on a new flair, diversifying the company’s client base. 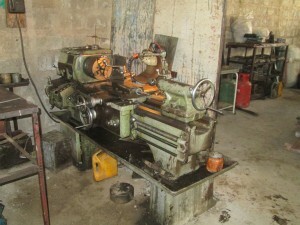 Ana Gabriela needs a $50,000 USD loan to purchase a new piece of equipment from Brazil that will enable her to gain a government contract to produce materials for 200+ low-income homes. The new equipment will also enable Ana Gabriela to hire new unskilled employees, promoting members of her current team to operate the new machinery. Started twenty years ago by Jorge Luis Herrera, Mortuary El Alba manufactures coffins and provides funeral services to low-income populations in and around Nicaragua’s capital city of Managua. Having grown the business to twenty-six employees and with annual revenues just shy of $300,000, Jorge has plans to scale. 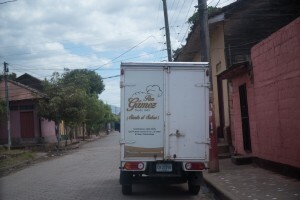 He gives a great deal of credit to Arrow’s local partner, TechnoServe, for helping him refine his business plan, get better financial systems in place, and market the company’s services to low-income populations (that, when aggregated, have the most purchasing power in the market). Jorge has a large funding need of $377,000 (in stages) that will help him improve the current mortuary and construct a new funeral parlor that will serve low-income populations — to date, many of the funerals take place in homes, but as incomes rise, that trend is shifting, and Mortuary El Alba needs to remain competitive within its key demographic.